Toss in this week’s March 16 FTC Privacy Hearings on Do Not Track policies and datamining behavioral profiles (see key quotes from hearing) and you can almost hear that ‘screen sucking sound’ of my carefree quiet swept out to sea, replaced by urgent headline news and important media moments poking like an incessant Facebook friend. Today I’m going to attempt to recap some of the anti-bullying summit gleaning info from those who attended (MsTwixt, DC “tweens” reporter for the Examiner) link lobbing from some of the official feeds and hub sources to recap audio and video…Then follow up with separate commentary and tips from two leaders in this realm: Rosalind Wiseman’s bullying prevention tips (she has devoted her career to creating cultures of dignity, offering sage parent/youth advice that cuts through rhetoric to achieve tangible solutions) and Jason Rzepka, VP Public Affairs and conduit for MTV’s growing prosocial very successful peer to peer campaign A Thin Line.org which combats abuse enhancing digital citizenship in the process. On March 10th I was out of the country, but I DID pop into the Facebook livestream feed long enough to see a few friend’s names roll by as excellent resources (Adina’s Deck, an award-winning DVD/cybersleuth film using mystery to engage kids in a ‘whodunnit’ session, Anne Collier of NetFamilyNews and parent/youth forum ConnectSafely.org, as well as some recent buzz about the screen adaptation of Jay Asher’s bullying tome, “13 reasons why” slating Selena Gomez in the lead role). Mostly, I was pensively eyebrow raising with curiosity and incredulity that the pervasiveness of bullying had escalated to the point of a National summit in the first place. 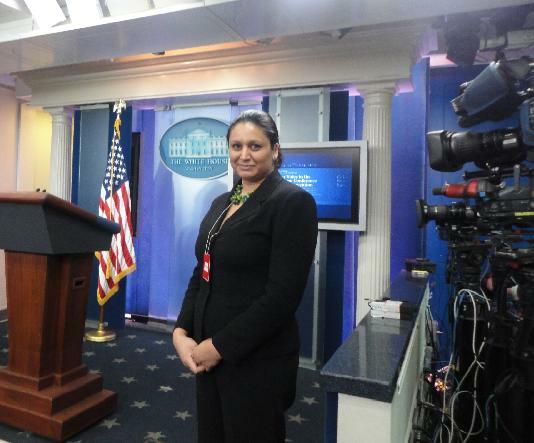 As one who is often reminded that I ‘breathe air inside the youth media bubble’ with an intake far more heightened than the average Joe, the mere existence of the summit was a cue to me that we’ve gone beyond ‘raising awareness’ to accelerate into taking action. 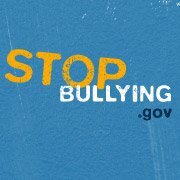 The sheer existence of the summit itself and an all new launch of the StopBullying.gov hub for vital resources is a cue we’ve moved beyond sensationalized hype, headlines and media perceptions of ‘a bullying industry’ toward solutions-based action, stemming from the acknowledgment that this is becoming a socioemotional public health problem hammering kids at increasingly younger ages. I felt that familiar pang of ‘whoa boy, this is serious now’ akin to a disaster relief area that’s just called in the National Guard to mop up a mess or curb the casualties. In a sense, that’s exactly what’s happening—Online, offline and with a surround sound context that springs from the pages of Jenn Pozner’s Reality Bites Back book…I’m not going to make a media causation link, but rather, a larger ‘cultural’ one. About 1:12 into this video recap, First Lady Michelle Obama sealed her “mama cred” with yours truly in “speak from the heart” relatable touchpoints that made me nod, ‘Mhmn, you got that right,’ a skill set that has repeatedly endeared the pair as ‘Presidential parents’ not just leaders of our country. All joking aside, Michelle Obama taps into the squirmy subject matter we can all relate to, namely, most of us are not naïve enough to be duped into thinking our kids are ‘sharing’ freely with us, despite this trackable, ubiquitous age of transparency. Similar to the hidden cameras capturing “My kid would never bully” (see MSNBC series March 7, 2011) it’s these parents that need the wake up call the most. Numbers reflecting 3 million kids a year bullying should be a veritable bracer, but again, there’s a clarion call to define what constitutes bullying in order to put those figures in context. Decoding the difference between the ‘j/k’ joshes that can dig deep and wound like a passive aggressive slingshot and threats that trigger heavy hands of law enforcement with arrests and ‘zero tolerance’ intervention can be dicey. This is the society in which we live now, with insta-alarm, and “act/react’ often happening in nanoseconds. On my voicemail this week returning from my trip for example, the school principal informs of an arrest of a teen boy from online bullying threats made at a nearby school which blasted all parents via SchoolLoop to essentially “keep calm, carry on’ and quell rumor mongering…It had already blown over by the time I returned, but clearly had caused a kerfluffle in the district to warrant taking seriously. Much has been made of the sophistication of kids’ workarounds and social media steganography like Wired Magazine’s Clive Thompson unearthing coded subtexts and “secret messages” in plain view of parents on Facebook status lines. Kids NEED their privacy to developmentally work through some of their ‘stuff,’ and frankly this seems more like a solid sign of youth resilience and coping skills to me. …Or what about the opposition in Libya who used youth online dating site Mawada to workaround the powerhouse bullying by governmental crackdowns and talk in code for their own communication access? (NPR story here) Brilliant! I love the idea of “Cupid convos” being safety relays…go youth! Point is, things are not always ‘as they seem’ whether bullied or bullying, victim or bystander. It takes critical thinking to deconstruct the nuance. More examples? Often regarded as the cyberscourge of the internet for anonymous rude, crude queries, bullying snipes and snarky take-downs, analysts and educators have continuously scrambled to track the trends and determine “What’s REALLY going on” in and around the Formspring site behaviorally and psycho-socially. I’ve monitored its evolution hands-on with teens quite a bit since its Nov ’09 launch alternating between pie-eyed disgust and adolescent/developmental understanding, observing as it’s gone mobile, grown from zero to 40 million, and now, recently partnered to curb bullying with MIT. Though it’s still a mish-mash of a challenge to muddle through the behavioral ‘whys,’ critical thinkers can see the many shades of the rainbow in play here, far from black and white absolutes. In fact, social media researcher danah boyd isn’t the ONLY one who has witnessed evidence of tinkering with bullying storylines, from self-aggrandizing bravado to malicious infused subplots (see her article on Digital Self-Harm and other Acts of Self-Harassment) Yep, strangely enough, self-bullying is yet another form of attention on the virtual stage, and though it really shouldn’t surprise me given the tools and teens’ media environments, it still does. We’ve run some tests to see if you can infuse POSITIVE statements into NEGATIVE Formspring anonymous conversations in order to ‘turn that tanker around’ when a convo is trending toward a bullying direction to see if it will ‘right itself’ like a ship listing in one direction propped up by ‘the bystander effect’ safely behind a keyboard. NOT saying any more on that one for now…It’s anecdotal versus scientific, much like many of my hunches, but fascinating media fodder nonetheless. 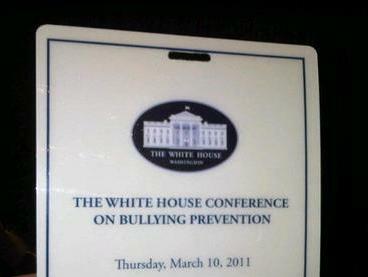 Last week we attended the White House Conference on Bullying Prevention. Major discussion at the Conference focused on linking anti-bullying measures directly to academic performance – that is, school climates that do not tolerate bullying in any form are also the same climates that make academic performance possible. Another major point made by Administration officials was that bullying is not simply an issue for schools to resolve – it is a whole community issue that involves schools, parents, law enforcement, and community members. 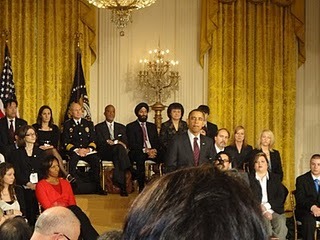 A panel of experts participated in this session which was moderated by Senior White House Adviser Valerie Jarrett. The panelists were: Susan Swearer-Napalitano (from the University of Nebraska), Justin Patchin (from the University of Wisconsin), Catherine Bradshaw (from Johns Hopkins University), and George Sugai (from the University of Connecticut). * Although there is lots of press about the misuse of technologies such as texting and social networking, the good news is that the overwhelming majority of teens and tweens use technology in positive, healthy ways. So don’t just focus on the negatives or “blame” technology. * We need to change the overall climate in our schools to prevent bullying. This means we need to: 1) actively supervise our kids both in person and online; 2) vocally and publicly acknowledge those kids who work to prevent bullying; and 3) change the dialogue about bullying from “this what happens to occur at school” to “bullying has an enormous negative impact on learning.” Professor Sugai quoted research that found that schools with strong anti-bullying climates also had stronger academic achievement. * Professor Bradshaw urged that anti-bullying programs have two-tiers: one for the victims, and one for the bullies. Her work found that bullies have underlying causes for their negative behavior including violence at home, developmental delays, and others. * Valerie Jarrett asked the panel for ideas on how to make it safe to report bullying so that students wouldn’t be so hesitant to report bullying (this was another theme from the conference; more on this later). * Professor Patchin counseled that action upon such reports be swift; otherwise all parties are bogged down in an interminably long process and that dampens participation. (Perhaps schools should have an anonymous Bullying Tip line?) His research also found that only 15% of bullying cases are actually reported. * Professor Sugai added that anti-bullying programs must be simple and safe in addition to swift – the reporting process should be straightforward and easy to understand and use. Finally, it is not enough to have a bullying reporting process – a bullying prevention program is essential to head off problems before they escalate. * Professor Patchin warned that a knee-jerk reaction to cyberbullying is to remove the technology – parents and schools respond by banning social networks and mobile phones. But doing so won’t stop the bullying since his research found that cyberbullies and real-life bullies are the same people – so the bullying will continue. Rather, he pleaded for parents to learn the technologies their kids use and be able to help their kids navigate them safely. This means learning about privacy controls on Facebook (see tips!) monitoring where kids are going online (lots of companies can help with this), etc. * Anti-bullying programs need to extend beyond the classroom to the hallways, to the bus aisles, to the libraries, to cafeterias – every part of the school. The effort must be holistic in its application to include teachers, all school staff, coaches, etc. It is designed to serve as a starting point for parents, students, schools, and communities to take a stand against bullying. • Facebook announced a new app called Over the Line with which users can upload examples of “digital drama” and ask others in the Facebook community if such actions crossed the line into bullying. The goal is to give users an outlet for sharing bullying examples with the hope that the online community rallies against bullying posts and photos. 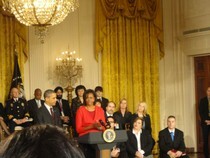 • Other national initiatives were announced today by MTV, the PTA, Formspring, and the Cartoon Network. Amy’s Note: Hearty thanks to MsTwixt, a Yale-educated mother of four – including three tween-age girls. MsTwixt interacts with hundreds of tweens and their parents on a monthly basis as CEO of Twixt, a ‘tween boutique in Washington, DC and as DC Tweens reporter for Examiner.com. Thanks for sharing this recap. Visit her blog for her follow-up interviews forthcoming with Togetherville, Everloop and other industry panels from the summit. You can connect via MsTwixt [at] gmail [dot] com, her blog, Twitter stream, YouTube channel, “like” her Facebook page, and find out more about her business here. I’m so concerned about the bullying in America. I feel like bullying has gotten worse for my youngest son, than it was for my oldest son 5 years ago. I think the biggest influence of this change is the violence in the media and video games today. 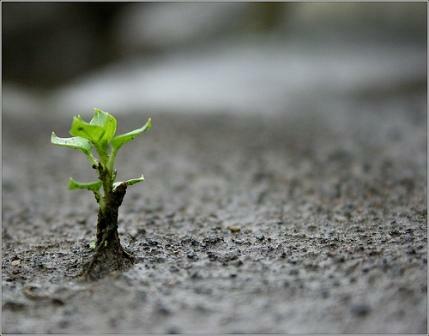 The most important part of the solution – the development of empathy. The ability to see someone else’s self as my self. that is a very severe problem….i am sure that the main thing we must change is the media..the media is so violent we just talk about prevention but still give wrong education in all types of the media… how can we ask the kids to act differently?